This confession is the 3rd part in of the five volumes, from the excerpt testimony of brother Augusto Quiala Maquengo, a former servant and dedicated son of the Lucifer. To fully benefit from it, you need to read the remaining other 5th parts in numerical order. THE ROAD OF DELIVERANCE FROM THE DRAGON, LEVIATHAN AND SERPENTS. Deliverance is a very difficult and complicated subject where a human being is concerned because of the flesh the human spirit lives in. The bible declares that the flesh is one of the enemies that prevent man from enjoying a free and sound life. 1 John 2:16 For all that is in the world, the lust of the flesh, and the lust of the eyes, and the pride of life, is not of the Father, but is of the world. After spending some time in the church, I became an evangelist and a Sunday school teacher; I started exercising self-deliverance which complicated the issues of my life the more because I did not fully understand how deep the powers I was dealing with were. Serpents intensified their attacks over me, but I knew one day the Lord would deliver me. Because of war in my country, I was forced to travel to Zimbabwe where I was a missionary working with a pair team of YWAN (Youth with a Mission) and I was the youth pastor for the Baptist church. To cut a long story short, I was so much engaged in doing God’s will and following in his footsteps that I was a very active evangelist to reach out lost souls. I was fasting 3 days every week and 10 to 14 days every two weeks. I was being used by the Lord so mightily to deliver others, heal others but myself I had serpents, hernia, and I was using eye-glasses because I almost developed Myopia (a defective eye condition). I was calling upon the Lord to respond and bring healing to those areas of my life. One day, a servant of God came from America to Harare for a miracle crusade and I attended it. When he preached on the power of the blood of Jesus Christ, he called everyone who had eye-glasses to drop them on the floor and crash them. Everyone, over a million people of those who used eyeglasses did what was instructed but I took mine and put them into my pocket, thinking that just in case I get worst… look at my lack of faith!! But God was faithful to me and healed me completely from this condition. 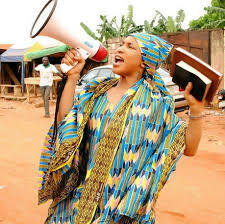 I had found my wife in the Lord before going to Zimbabwe. I married her when I return back from Zimbabwe. She had discovered a Ministry called Olangi-Wosho Warfare Ministry where she started praying and going through her deliverance. 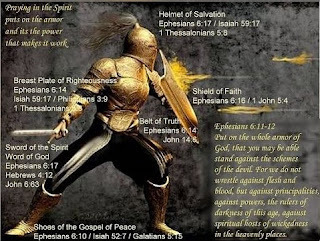 This is a powerful God given ministry dealing with deliverance and warfare. To resume the big details, I came back and started following God in that Ministry to seek my deliverance, because things were not getting any better. My main objective in that Ministry was to get married, but the servants of God or deliverance Ministers who received me, got a revelation from God concerning me. They had seen me arriving from abroad in a coffin as a dead person. They therefore agreed to seriously help me. I was put under an intensive program of teachings and fasting. It was in this close up where I started receiving several revelations from the Lord about the nature of person I was. I learned a lot and went through serious training for about 7 years. READ ALSO: Warning Revelations Message To Sinners And Backsliders. While there, I was delivered from so many things and it was there the Lord revealed to me how I was born and when I told my mother, she confirmed the details. That’s how my mother also seriously came to give her life to Christ; because it was impossible for a child to know such deep details unless it was either by revelation or being told by somebody who knew the secrets. But at this stage my father had long passed away. Here I had so many other revelations and visions which I will tell another time if Christ tarries to lift up His bride on the rapture, the day we are all waiting impatiently for. A months before the personal fight with Lucifer, I was in a night vision where I was summoned immediately to the first hierarchical level of satanic kingdom to meet the council of Lucifer commanded by an arch-demon (seemed like a fallen angel with the powers of Lucifer himself). When I reached the place, it was like an open stadium of military parade where the most prominent people sat on one side and the people were seated on the other side of the parade stadium, like it happens in china or North Korea when there is a military parade. At the stand were seated the top military commanders, there were also seated Ministers of each country of the earth, generals and colonels. I recognized some people who are top military commanders on earth seated on the stage near the arch-demon. This was finally the council of principalities, powers and rulers. I was stunned that I was at such a place which I only read about in the bible (Ephesians 6:10-13). Here the Lord clearly showed me how the council of darkness is organized. READ ALSO: 990 Years In The Kingdom Of Darkness By Evang Olufumilayo. As I was standing down the stage; to my surprise I found a group of people who were also summoned to be sentenced for disobedience of orders of ancestral covenants with the grand-master of evil - Satan. This arch-demon, called one of the persons in the group where I was standing. He started by saying: I called this meeting because there has been a violation of orders and covenants within our hidden personnel (referring to me). He went on to say that he was going to order everyone upon his voice command to bow before him and worship him as a sign of everyone’s loyalty to the master of illumination - Lucifer. He also said that if anyone does not obey the orders to bow before me, I will personally destroy him as I am going to do to this one right now as a demonstration. From his seat, he intently looked at this person who was taken out of the group I was standing with to make an experiment of destruction out of him. When he looked unto him, fire, brim storm and liquid red fire came out of his mouth and completely disintegrated the body of that person in the presence of everyone. Immediately after this, everyone on the stage and on the floor bowed down before this arch-demon except me. I stayed staying though I was trembling of fear that this arch-demon would destroy me next for disobeying orders. This scenario seemed very similar to the Sadrach, Meshach and Abednego in the bible. When the arch-demon saw that I had not bowed unto him, he was very furious and mad at me and said to everyone: this person does not seem to have learned the lesson. He is defying my powers. Before I destroy you, I order you to bow immediately. As he was speaking, one of his military personnel came to me and said he is talking to you, I advise you to bow immediately. I said to him: I will not bow to anyone but to Christ Jesus alone!. This made him very furious and he said: now I am going to destroy you. I couldn’t imagine that my fight was long and this was the preliminary encounter with the higher powers of darkness before I would face Lucifer. The arch-demon came down of the stage to face me. He was about 5 meters before me and evil power was flowing out of him and he was very dreadful. When he made the first step towards me, I remembered a technique that Rebecca Brown had used against some Satanists in her Book, “Prepare for War”. In the vision, my mind went immediately to Ephesians 6:10 – the whole armor of God. I immediately said to the arch-demon: look, I have this shield. I just did it by faith because to myself I was not seeing anything with me on my left hand, but to my amazement, the arch-demon stopped and looked at me and said: do you really think that that little thing with light will defend you? When he said that, I then realized that indeed the shield of faith I was using was real as the bible says it. READ ALSO: The Trickiest Scheme Of The Devil Against Christians. Then I advanced one step towards the arch-demon, and he made one step backwards. Now, I knew he was afraid of me, so I quickly made another step and another and another. And when he wanted to escape, fire and huge light came out of the shield of faith which seriously destroyed (disintegrated) the arch-demon into pieces. When the principalities and powers saw what had happened to their grand-master and leader, they started transforming themselves into different kind of animals. Some transformed themselves into lion, leopard and birds to run back to their natural status on earth. When I saw that, I knew that the victory was mine in the might name of Jesus Christ. Hallelujah! I was relieved that I started now to go and find my way to the earth. On that confusion, some two soldiers of the evil realm had lost their ability to return back on earth and they seemed lost and did not know how to return on earth. I was going and an Angel appeared in my front and showed me the way to the earth. This was literally a bridge with a huge river that divides the earth with the first heavens. The angel put a bridge for me to cross and when I was crossing, the two soldiers tried to follow me begging for me to help them reach the earth because they had lost their witchcraft abilities to return back to the earth. At that point, my phone rang in the vision. When I picked it up, it was my wife and she asked me, how was the fight? I started explaining how it was. When I crossed the river, the bridge disappeared and the angel also disappeared and I was back on the earth. When I came to myself, I told my wife what was happening. We engaged ourselves to serious fasting and prayer, because we knew that our lives were at stake. Until this stage, I and my wife knew that we were having a strange experience. We were preparing in prayer and fasting for eventual incident. 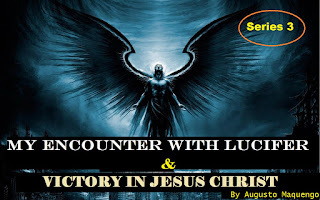 A week after, I was taken to face Lucifer. 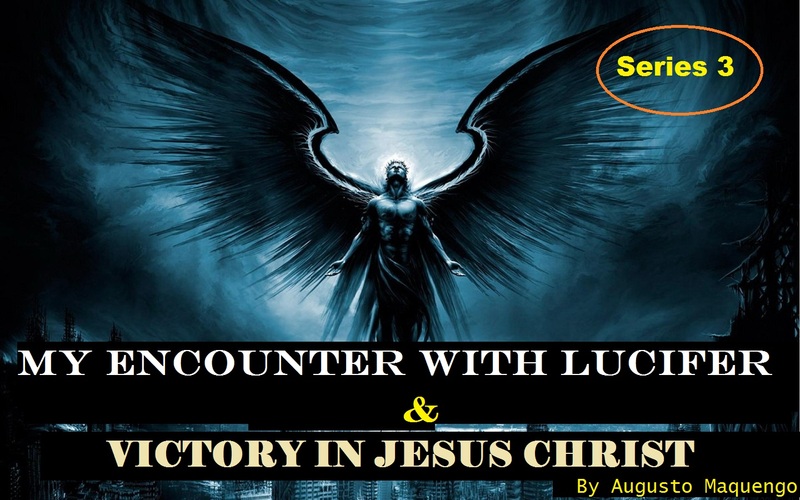 See hereafter the account of an encounter I had with Satan, the old serpent also called Lucifer, the deceiver; To Continue in next Chapter "my encounter with lucifer himself and how the lord defeated him"
1 Response to "My Encounter With Lucifer And Victory In Jesus By Augusto Maquengo — Series 3"
please continue with the next series that is 4 and 5. It is very edifying and encouraging. JESUS IS LORD indeed.